2006 The Bickell Foundation for Now Hear This! “Remembrance: Gerald Eades Bentley, Jr. 23 August 1930-31 August 2017”, Blake/An Illustrated Quarterly. Volume 51, no. 2 (fall 2017) 5 pp. The William Blake Project, Ed and Intro Special Issue, University of Toronto Quarterly (Fall 2011) Volume 80, no 4, 158pp. Remember Me! Blake In Our Time A Keepsake Book In Celebration of An Exhibition and Symposium on the Life and Art of William Blake (1757-1827), Victoria University, Toronto. Toronto: Victoria University Library, 2010, 64pp. Blake In Our Time, Essays in Honour of G.E. Bentley Jr. Ed. And Intro. Toronto: University of Toronto Press, 2010, 300pp. “Edward Young. Night Thoughts. With Water-Colour Illustrations by William Blake. Commentary by Robin Hamlyn. [ 3 vols.] London: The Folio Society, 2005.” Blake/ An Illustrated Quarterly, volume 40, number 3 (Fall, 2007): pp84-91. “Janet Adele Warner, 14 February 1931 – 6 May 2006.” Blake/An Illustrated Quarterly, volume 40, number 1 (Summer 2006): pp46-47. “Night Thoughts: Blake’s Iconographic Ruminations (and Iconological Revelations).” With 24 illustrations between pages 24 and 25.The AnaChronist (2001): pp1-18. “G.E. Bentley, Jr. with the assistance of Keiko Aoyama. Blake Studies in Japan: A Bibliography of Works on William Blake Published in Japan, 1893-1993. Tokyo: Japan Association of English Romanticism, 1994.” Papers of the Bibliographical Society of Canada, (Fall, 1996) vol.34, number 2: pp198-200. “Janet A. Warner, Blake and the Language of Art.” The Wordsworth Circle (Autumn 1986): pp202-204. “The Crying of Lot 318: Or, Blake’s Night Thoughts Colored Once More.” Blake/An Illustrated Quarterly, 19 (Fall 1985): pp71-72. “Political Visionary, Spiritual Realist: William Blake, His Art and Times by David Bindman.” The Canadian Forum (December/January 1982-83): pp33-34. “William Blake: His Art and Times.” The Canadian Forum (November 1982): p.42. “John E. Grant, Edward J. Rose, and Michael J. Tolley, eds., coordinating ed. David V. Erdman, William Blake’s Designs for Edward Young’s Night Thoughts. A Complete Edition.” The Wordsworth Circle, 12 (Summer 1981): pp157-161. “William Blake’s Milton Portraiture and Eighteenth Century Milton Iconography.” Colby Library Quarterly, 14 (March 1978): pp6-21. “Robert Essick and Jenijoy La Belle, Night Thoughts or The Complaint and The Consolation.” Blake/An Illustrated Quarterly (Summer 1977): pp41-42. “For Friendship’s Sake: Some Additions to Blake’s Sketches on Sheets for Hayley’s Ballads (1802).” Studies in Bibliography, 29 (1976): pp331-341. “Strategies of Memoir – William Blake’s Night Thoughts.” American Society for Eighteenth Century Studies, Philadelphia. 12-15 April 2000. “Night Thoughts: Blake’s Iconographic Ruminations (and Iconological Revelations).” School of English and American Studies. Eotvos Lorand University, Budapest, Hungary. 23 March 2000. “Depicting Leonora: Domesticating Lenore.” Tenth International Congress on the Enlightenment, Dublin. 25-31 July 1999. “Blake’s Body Politic; Some speculations on the Politics of the Imagination.” Living and Learning in Retirement, English and Scottish Literature of the Romantic Period, Glendon College, York University, Toronto, Ontario. 13 January 1989. “Dreaming Newton.” American Association for 18th-Century Studies, California State University, Long Beach, California. 10-15 February 1988. “Depicting G.A. Bürger’s Leonora.” The Arts in the 18th-Century, Founders College, York University, Downsview, Ontario. 25-26 January 1988. “Blake’s Newtonian Night Thinking: The Drawings to Young’s Night Thoughts, Part II.” Liberty and Libertinage, Society for 18th-Century Studies, University of British Columbia, Vancouver, British Columbia. 15-18 October 1987. “Comet Halley and Blake’s Illustrations.” Les Lumières du Savoir, Society for 18th-Century Studies, University of Ottawa, Ottawa, Ontario. 16-19 October 1986. “Blake’s Political Night Thoughts.” William Blake and Revolutionary Europe: Association for 18th-Century Studies, McMaster University, Hamilton, Ontario. 14 October 1983. “Crowns of Spike, Crowns of Thorn: Blake’s Night Thoughts.” Symposium on Revolution and Romanticism: 1776-1848, University College, University of Toronto, Toronto, Ontario. 17-21 January 1983. “Bower, Maze, Mirror (Four Sketches of Ken Nutt)” [catalogue essay and curriculum vitae]. In Ken Nutt: the one man group show.Woodstock, Ontario: Woodstock Art Gallery 1997. “Mirror Images/TRENDWATCH.” The Globe and Mail (11 November 1993): D4. “Starck style but no splurge.” The Globe and Mail (5 August 1993): D3. “Continental Drift, The European Iceberg.” The Canadian Forum (August/September 1985): pp39-42. “Jane Story’s Palestine.” The Canadian Forum (January 1985): pp11-13. “Visual Arts: Come East Flaherty.” The Canadian Forum (September 1980): pp38-39. “Behind the Christmas Card.” The Canadian Forum (August 1980): pp32-34. Introduction to “Gone With the Wind? by Mandel Sprachman.” The Canadian Forum (December/January 1979-80): p.24. “Heroes and Heroines.” The Canadian Forum (June/July 1978). “Inuit Family Album: Another Way of Being.” The Canadian Forum (November 1976): p50. “The Rainbows of History: Mary Allodi, Canadian Water-Colours and Drawings in the Royal Ontario Museum.” Books in Canada (April 1975): p12. “In Brief: Lorne Render, The Mountains and the Sky.” Books in Canada (February 1975): pp26-27. “Barry Lord: Towards a People’s Art.” The Canadian Forum (November/December 1974): pp14-15. numerocinqmagazine.com, December 2016, “My Life in Clothes & Books, A Memoir”, 59pp. Descant 167, Winter 2014, Volume 45, number 4, In A Cabinet of Curiosities, pp7-10. Interview with Richard Landon on Mavis Gallant, numerocinqmagazine.com, Volume V, number 9, September 2014. Descant 166, Fall 2014, The Berlin Project, Volume 45, Number 3, “The Berlin Project”, pp15- 17. Interview with Mavis Gallant, numerocinqmagazine.com, Volume V, Number 9, September 2014. Descant 165, Summer 2014, A Summer Reader, Volume 45, Number 2, ” A Summer of Content, A Question of the Sparrow in the Hall”, pp7-10. Descant 161, Into The Unknown, A Summer Reader Descant 161, summer 2013, volume 44, number 2,”Into the unknown, The Rent in the Umbrella”, pp16-19. Descant 160, The Hidden City, volume 44, number 1, Spring 2013, On The Freeing of the Waters, pp6-10. Descant 159, A Winter’s Guide to Melancholia, Winter 2012, volume 43, number 4, The Winter of Our Discontent, pp 7-10. Descant 158, Renovations, Fall 2012, Volume 43, number 3, Make It New, pp11-14. Descant 157, Summer Subversions , Summer 2012, volume 43, number 2, Hope is a Line Extended, pp16-18. Descant 156, Bosnia and Herzegovina, Between Loss and Recovery, Spring 2012, volume 43, number 1, The Balkan Connection, pp6-9. Introduction to The Dromedary: A Project of the Descant Arts& Letters Foundation, 2012, pp10-11. Descant 155, A Winter Reader, Winter 2011, volume 42, number 4, On The Shoulders of Giants, pp19-23. Descant’s Fortieth Anniversary Fete, Harbourfront, June 29, 2011, Descant 155, pp182-184. A Sicily of the Imagination, Descant 154, Sicily, Land of Forgotten Dreams, Fall 2011, volume 42, number 3, pp11-15. Possible Worlds, Infinite Disguises, Descant 153, Possible Worlds, Fortieth Anniversary Issue, Summer 2011, volume 42, number 2, pp12-17. Introduction to The Capybara: A Project of the Descant Arts& Letters Foundation, 2011, pp9-11. Ghosts and the Uncanny: Exorcising The Haunted House”, Descant 152, Ghosts and the Uncanny, Spring 2011, volume 42, pp12-17. ” A Miscellany of the Spirit, The Winter Reader, Descant 151, Winter 2010, volume 41, no. 4, pp6-11. Introduction to The Barracuda”, A Project of the Descant Arts& Letters Foundation, pp9-11. “Only Connect.” Descant 150, Writers in Prison (Fall 2010): pp6-10. “Solomonova Presuda” [ Solomon’s Judgement with brief biography]. Sarajevska Dani Poezije: p18. “Auto-Poetic Confession: Rhapsody.” Life (Sarajevo Poetry Days) 2010. “The Volcano and the Oil Spill, Eyjafjallajokul and Deepwater Horizon,” Descant 149, Summer and Smoke: The Search for Values (Summer 2010): pp6-11. “The Search For Happiness.” Descant 148, Descant, Spring (Spring 2010): pp6-11. “Motion Most Musical: The Dynamic Image.” Descant 147, Dance (Winter 2009): pp6-11. “After Long Silence” Descant 146, Immanence/Transcendence (Fall 2009): pp6-9. ” The Private and the Public.” Descant 145, Private Worlds, Public Exigencies (Summer 2009): pp6-10. “The Small Dog Library and Other Tales Wagging the Dog.” Descant 144, Dogs (Spring 2009): pp6-11. “Marconi in the Sculpture of John McEwen: Essays by John McEwen, Ann Pollock, and Mary Reid The Winnipeg Art Gallery, February 3 to May 6, 2007.” University of Toronto Quarterly, Letters in Canada 2007, volume 79, number 1 (Winter 2008-2009). “Captive Fish.” Descant 143, Cats (Winter 2008): pp6-11. “Love Hotels and Love in Hotels and other Divagations on Hotels.” Descant 142, Hotels (Fall 2008): pp6-10. “Excavations: Archaeology in Contemporary Life” Descant 141, Excavations (Summer 2008): pp6-10. “‘Improvisations’ Val Ross (17October1950-17February2008) R.I.P.” Descant 140, Improvisations (Spring 2008): pp6-8. “P. K. Page, The Filled Pen: Selected Non-Fiction, edited by Zailig Pollock.” University of Toronto Quarterly, Letters in Canada 2007, volume 78, number 1 (Winter 2007-2008): pp438- 439. “On The Beach, Apostatic.” Descant 139, Apostasy/The Primer (Winter 2007): pp6-8. Introduction to The Armadillo. : A Project of the Descant Arts & Letters Foundation, in Now Hear This! The Armadillo, Toronto:Descant Arts & Letters Foundation, 2008: pp9-11. “Stage Fright.” Descant 138, Fashion (Fall 2007): pp6-10. “Margins, Borders, Vandals and the Night.” Descant 137, Margins and Borders (Summer 2007): pp22-25. “Trompe L’Oeil.” Descant 136, A Trompe L’Oeil Calendar with 2007 Collins/Descant Poetry Prize Winners (Spring 2007): pp6-8. “Eldon Garnett, Impulse Archaeology.” The University of Toronto Quarterly, Letters in Canada, 2005, 76, 1,(Winter 2006/07): pp616-617. “A Library of Memory, The Mind at Night”, Descant 135, Bibliomania 2, with a Genre Index to 35 years of Descant (Winter 2006): pp15-18. “Campo Santo”, Descant 134, Cuba: Inside/Out (Fall 2006): pp8-13. “Bibliomania.” Descant 133, Bibliomania, with an Index to 35 years of Descant (Summer 2006): pp6-10. “Animals in That Country.” Descant 132, Entering The Other, The World of Barbara Gowdy (Spring 2006): pp8-11. “A Mari Usque Ad Mare”, Descant 131, Tales from the Great Dominion and Its Territories (Winter 2005): pp6-7. “On the Shoulders of Giants.” Descant 130, Genies and Generations, Homage to P.K. Page and Josef Skvorecky (Fall 2005): pp6-7. “Ca’ Gallina, Corte del Strologo, and the Vaporetto Conductor with the Violet Eyes.” Descant 129, Vedere Venezia Vivere / To See Venice is to Live (Summer 2005): pp8-15. “Venice, Imagined.” Descant 128, Venice, Imagined: Fictions, Memories, Dreams, Reflections (Spring 2005): pp7-12. “Local Matters?” Descant 127, Transfer/Disconnect, Edward Burtynsky (Winter 2004): pp7-10. “Beyond the 49th Parallel, Writing the New Canadian Fiction”, In 49 Paralelin Otesinde, Kanadah Yazarlardan Oykuer. I stanbul: YKY : pp7-11. “The Loneliness of the Long Distance Poet; Miriam Waddington.” In Re:Generations, Canadian Women Poets in Conversation. Ed. Di Brandt and Barbara Godard. Windsor, ON. : Black Moss Press, 2005: pp15-18. “Leon Rooke’s Fat Woman, On Being Delivered.” In White Gloves of the Doorman, The Works of Leon Rooke. Ed. Branko Gorjup. Toronto: Exile Editions, 2004: pp298-318. “The Eternal Symposium.” Descant 126, Love(s) That Dare(s) (Not) (Fall 2004): pp7-9. “The Edge of Town.” Descant 125, Sub/Urbia (Summer 2004): pp7-8. “The Open Road, Descant Voyaging.” Descant 124, In Latvia, Observed/Abroad/In Memory (Spring 2004): pp9-10. “From Alterity to Ground Zero, Descanting Speculative Literature.” Descant 122, Speculative Literature (Fall 2003): pp11-13. “Sailing To Byzantium.” Descant 121, Turkey: Inside/Out (Summer 2003): pp11-12. “Timothy Findley, 1930-2002.” Descant 119, The Winter Reader, with a Tribute to Timothy Findley (Winter 2002): pp11-12. “A Conversation With Timothy Findley.” Descant 119, The Winter Reader, with a Tribute to Timothy Findley (Winter 2002): pp33-48. “Leon Rooke’s Fat Woman, On Being Delivered: An Interview.” White Wall Review 26 (2002): pp99-124. “Writing With Pictures: W.F. Garrett-Petts and Donald Lawrence, Photographic Encounters, The Edges and Edginess of Reading Prose Pictures and Visual Fictions” Canadian Literature. Published electronically on the Canadian Literature web-site as a starred review Feb. 2001; and published in print in Canadian Literature 174 (Autumn 2002): pp139-141. “The Reaching of the Poetic Field: Janice Kulyk Keefer, Marrying the Sea; Stephen Guppy, Blind Date with the Angel: The Diane Arbus Poems; Barbara Klar, The Blue Field.” Canadian Literature, no. 166 (Autumn 2000): pp175-177. “The Theatre of the Body.” Descant 103, The Anatomy Theatre and the Theatre of the Body (Winter 1998): pp7-8. “Ars Amatoria, envoi.” Descant 100, Romantic Love: From Bewildered to Zigzag (Spring 1998): p9. “Schaferscapes.” (An excerpt from “The Massing of the Elk.”) Border Crossings, Winter 1996 (February 1996, vol.15, no. 1): pp25-31. “A Tale of Two Cities.” Wascana Review, Special Issue on “Dwellers and Travellers” (vol. 30, no. 1; Spring 1995): pp16-29. “Preface to Descant – Ex-Yugoslavia”, REC (October 1995) (Belgrade, Ex-Yugoslavia): pp28. [Beograd Jugoslavije; 50 pp. Special section on Descant Magazine]. “Introduction.” Paper Guitar, 27 Writers Celebrate 25 Years of Descant. Toronto: Harper Collins, 1997: pp1-12. “Preface: The End of Books?” Descant 91, The Book: Twenty-Fifth Anniversary Issue, Part Two (Winter, 1995): pp5-8. “Preface: Of Editors, Compositors, and Printers: Twenty-five Years of Descant.” The Book: Twenty-fifth Anniversary Issue, Part One,Descant 90 (Fall, 1995): pp5-10. “Preface.” Descant 89, Japan (Summer, 1995): pp7-8. “Schaferscapes/Wolfbound: Twelve Notes Toward a New View of Camping.” Descant 88, Naturae Humanae, Poetry, Art, Music (Spring, 1995): pp133-176. “Reuniting the Antipodes of Body and Soul: We So Seldom Look On Love by Barbara Gowdy.” The Globe and Mail (17 October 1992): C23. “Descant Gastronomique.” Descant 71-72, Gastronomique, (Winter-Spring, 1990-91): pp7-8. “In Memoriam Northrop Frye.” Descant 71-72, Gastronomique (Winter-Spring, 1990-91): pp5-6. “Interview with Katherine Vlassie.” in Other Solitudes, Canadian Multicultural Fictions, Eds. Linda Hutcheon and Marion Richmond. Toronto: Oxford University Press, 1990: pp113-120 . “Desire and the Unnamed Editor, The Pleasure of the Text.” Descant 62, Male Desire 1 (Fall 1988): pp5-8. “Memory Work/Dreams.” Descant 60, Memory Work/Dreams (Spring 1988): pp5-7. “Preface.” Descant 56-57, Comedy and The Sporting Life (Spring-Summer, 1987): pp5-9. “Preface.” Descant 51-52, The Detection Issue, The Culture of Crime (Winter 1985-86): pp5-6. “Notes on the Making of a Rite of Passage.” Descant 50, The Ambiguities (Fall 1985): pp5-7. “Book of Life: Seed Catalogue: Poems by Robert Kroetsch.” The Canadian Forum (October/November 1978): pp46-47. “Interview with Constance Beresford-Howe.” Books in Canada (January 1978): pp21-22. “Editor’s Note” [Two Poets: The Death of Eric Ivan Berg; the Incarceration of Pancho Aguila]. Descant 20-21 (1978): pp6-7. “Editor’s Note.” Descant 19, Folsom Prison Writers’ Workshop (1977): pp4-5. “Fear and Control: David Helwig’s The Glass Knight.” The Canadian Forum (December/January 1976-77): pp6-7. “The Custodian of Chaos by Marg Yeo.” Books in Canada (April 1976): pp19-20. “Sinclair Ross, Sawbones Memorial: Plaques Don’t Matter But Memories Do.” Books in Canada (December 1974): pp9-11. “To Criticize Our Critics: Earle Birney.” The Canadian Forum (October 1974): pp19-20. “Audrey Thomas, Songs My Mother Taught Me.” The Canadian Forum (May/June 1974): p18. “Helen Weinzweig, Passing Ceremony.” The Canadian Forum (May/June 1974): p18. “Miriam Waddington, Driving Home.” The Canadian Forum (March 1973): pp48-49. “Literary Representations” in A Cultural History of Dress and Fashion in the Modern Age, chapter 9, co-authored with Irene Gammel, volume 6 edited by Alexandra Palmer. London: Bloomsbury, : pp191-210, and 231-233. Interview with Richard Landon on Mavis Gallant, numero cinq magazine, Volume V, number 9, September 2014. Interview with Mavis Gallant, numero cinq magazine, Volume V, number 9, September 2014. “From The Editor’s Desk.” Descant Newsletter (Spring 2007): pp1-2. “From The Editor’s Desk.” Descant Newsletter (Fall 2006): pp1-2. “E Pluribus Unum, Out of Many One/ From the Editor’s Desk.” Descant Newsletter (Spring 2006): pp1-2. “Sotto Voce, from The Editor’s Desk.” Descant Newsletter (January 2005): pp1-2. “A Delight of Pigs Overcomes Household Stigma.” The Writing Space Journal, Household Issue (Spring 2001, vol. 8, no. 1): p14. “Schaferscapes (an excerpt).” In Intersections: Fiction and Poetry from The Banff Centre for the Arts. Banff, Alberta: Banff Centre Press. 2000: pp140-151. “Of Wardrobe and Mask, Seven Takes on Stitching a Prime Minister.” In Trudeau’s Shadow: The Life and Legacy of Pierre Trudeau. Eds. Andrew Cohen and J.L. Granatstein. Toronto: Random House, 1998:pp 93-106. “Schaferscapes.” (An excerpt from “The Massing of the Elk.”) Border Crossings. Winter 1996 (February 1996, vol. 15, no. 1): pp25-31. “On the Barricades.” The Canadian Forum (February 1982): pp4. “Give and Take.” The Canadian Forum (August 1981): pp4-5. “The Ontario Committee.” CPPA Newsletter, 62 (March/April 1981): pp6-7. “Canadian Diary: Freedom of Speech and Fiction’s Liabilities.” The Literary Review, 29 (November 1980): pp5-6. “Canadian Diary: The Censors and Hollywood North.” The Literary Review, 23 (22 August – 4 September 1980): p38. “Canadian Diary: Psst, wanta buy a piece of Hollywood North?” The Literary Review, 21 (25 July – 8 August 1980): pp22-23. “Canadian Diary: Of Snow Angels and Lotteries.” The Literary Review, 11 (8-21 March 1980): pp18-19. “Florence and the Book Trade.” The Canadian Forum (April 1978): pp4-5. “Cashing In On The Jubilee.” Weekend Magazine (October 15, 1977): pp16-17. “Women Look at Psychiatry and Woman’s Evolution.” Books in Canada (August 1976): pp10-12. “Weed/Flower Press: A Profile.” Small Press Review (Spring 1973): p14. “The Golden Age.” Oracle (1960): p65. “Auto-Poetic Confession, Brief Lecture on Poetic Practice and a reading of the sestina “Only Daughters”. Sarajevo Poetry Days, 49thInternational Festival, Sarajevo, Bosnia and Herzegovina. May 2010. “Independent Presses and Literary Magazine Publishing.” Humber School For Writers, Toronto. 15 July 2006. “Entering The Other: The World of Barbara Gowdy.” Harbourfront Reading Series, Toronto, Brigantine Room. 8 March 2006. “Alice Munro, and the Regional Voice.” Centro Siena-Toronto, Siena, Italy. 16 May 2005. “The Development of Descant and the Growth of the English Canadian Literary Canon.” School of Graduate Studies, University of Siena, Siena, Italy. 16 May 2005. “Reading Michael Ondaatje’s The English Patient.” University of Trieste, Italy, School of Language Studies, 11 May 2005. “Literary publishing in English Canada and the development of English Canadian Fiction.” University of Trieste, Italy, School of Language Studies, 10 May 2005. “Beyond the 49th Parallel, Writing the New Canadian Fiction.” Launch of anthology of same name at Yapi Kredi Sanat, Istanbul, Turkey, sponsored by the Canadian Embassy. 22 November, 2004. 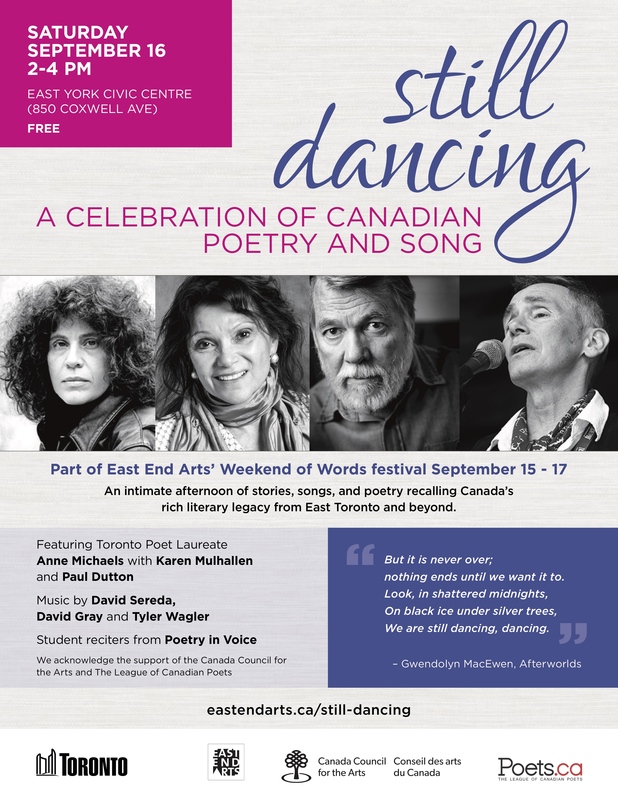 “Canadian Women Modernist Poets – Miriam Waddington.” University of Windsor, Wider Boundaries of Daring Conference and Festival. 25 – 28 October 2001. “Modernism and Post-Modernism in English Canadian Fiction.” Pazmany Peter University, Budapest, Hungary. 24 March 2000. “Descant Magazine and the Making of the English Canadian Literary Canon.” School of Canadian Studies, Eotvos Lorand University, Budapest, Hungary. 20 March 2000. “The Editor-Writer Relationship.” University of Windsor, Publishing Program, Windsor, Ontario. 1 March 2000. “Context, Classroom and Composite Work.” Ryerson – Sarwan Sahota Award Lecture, Ryerson University, Toronto, Ontario. 29 October 1998. 2005 Translations of poets from Italian into English for Descant, 128 and 129, Venice (Spring and Summer 2005), Bianca Tarozzi, Armando Pajalich, Riccardo Held, Luciano Menetto. 1999 Portfolio of photographs: “Starlight’s Fall Garden.” Descant 105 (Summer 1999): pp111-120. 1980 Translation of “Visual Arts: Americanistes in Quebec” by Yves Robillard. The Canadian Forum (March 1980): p41. 1973 Photographs in Descant 7 (Fall 1973): pp54, 63, 64. 1972 Design of cover and label, Descant 4 (Spring 1972). 1971 Design and printing of cover, Descant 3 (Fall 1971). 1971 Design and printing of special type faces for Take One Film Magazine, Women’s Issue (Winter 1971). 1971- Art Direction and Design for numerous issues of Descant. Captive Love, A Memoir of Rescue, Quattro Books, 2017. 88 pp (polyphonic). Seasons in an Unknown Key, Toronto, Ontario: Tightrope Books, 2017. 80pp (poetry). Code Orange Emblazoned Suite, Windsor, Ontario: Black Moss Press, 2015. Bilingual edition, French versions by Nancy Huston, (poetry), 65pp. Fishing Poems, Windsor, Ontario: Black Moss Press, 2014, 90pp. The Pillow Books, Windsor, Ontario: Black Moss Press, 2011, 104pp (poetry). Remember Me! Blake In Our Time, A Keepsake Book In Celebration of An Exhibition and Symposium on the Life and Art of William Blake (1757-1827), Toronto: Victoria University Library, 2010. 64 pp. Blake In Our Time: Essays in Honour of G.E. Bentley Jr. Ed. and intro. Toronto: University of Toronto Press, 2010. 320 pp. Acquainted With Absence, Selected Poems. Ed. and Introduction by Douglas Glover. Waterloo: Blaurock Press, 2009. (Poetry) 202 pp. Renga Talk. Stratford: A Pas de Luce Book, Pasdeloup Press, 2007. Limited Edition of 12 copies. 123 pp. (Dialogue poems with Virgil Burnett). Sea Horses. Windsor: Black Moss Press, 2007. 88 pp. (Poetry). Beyond the 49th Parallel: Writing The New Canadian Fiction. Ed. and intro. Istanbul and Ankara, Turkey: Yapi Kredi Sanat, 2004. 277 pp. (Anthology of Canadian Fiction by 17 writers). Sea Light. Windsor: Black Moss Press, 2003. 110 pp. (Poetry). Leifr’s Story. Stratford: Pasdeloup Press, 2002. Illustrated by Helen Edmonds. 18 pp. (Poetry). The Grace of Private Passage. Windsor, Ontario: Black Moss Press, 2000. 93 pp. (Poetry). Herm on Tour. Stratford: Pasdeloup Press, 1998. 12 pp. (Poetry). The Caverns of Ely. Stratford: Pasdeloup Press, 1997. 32 pp. (Poetry). War Surgery: A Jazz Catafalque. Windsor, Ontario: Black Moss Press, 1996. 80 pp. (Poetry). A Sentimental Dialogue. Stratford: A Pas de Luce Book, Pasdeloup Press, 1996. 38 pp. (Poetry [with Virgil Burnett]. Paper Guitar: Twenty-Seven Writers Celebrate Twenty-Five Years of Descant Magazine. Ed. Toronto: HarperCollins, 1995 454 pp. (Anthology of original writing by twenty-seven writers). In the Era of Acid Rain. Windsor, Ontario: Black Moss Press, 1993. 136 pp. (Fiction/travel/memoir). Modern Love, Poems 1970-1989. Windsor, Ontario: Black Moss Press, 1990. 66 pp. Sheba and Solomon. Lantzville, B.C. : Eleftheria Press, 1984. 44 pp. (Poetry). Views from the North: An Anthology of Travel Writing. Ed. Erin, Ontario: The Porcupine’s Quill, 1984. 221 pp. Tasks of Passion: Dennis Lee at Mid-Career. Co-Editor with Donna Bennett, and Russell Brown. Toronto: Descant Editions, 1982. 247 pp. (Literary criticism). 2019 “I’m Your Man”, Draft 14.3, p. 4. (Winter 2019). 2018 Untethered Magazine, “Pikangikum” (Winter 2018). 2016 “Bella Deer and Turkeys”, and “Bella Beneath the Beauty Bush”, Draft 12.1. (October). 2016 Amour Fou/Can’t Help It: Poems, numero cinq magazine, volume 7, no. 3. (March 2016). 2016 Untethered Magazine, 3 poems (August 2016). 2014 “Attiwandarouk”, Windsor Review, (vol 47, no 2, Fall 2014), pp.48-9. 2014 numero cinq magazine, Fishing Poems, memoir and poems, (October 2014-11-01). 2014 numero cinq magazine, March 17. “The Code Orange Emblazoned Suite: Poems”, 11 pp. 2013 Firkin’s Tale, International Poetry Reading and Exhibition, Fredericton, NS. 2011 “Spitz of the Cimelia” in Draft 7.2 (November 2011) unpaginated. 2011, numero cinq magazine, volume two, no. 33, August 15, 2011, Poems from Domestic Love, a work in progress: “Irondale, May on the Haliburton Road, Number 23, No Exit”; Spitz of the Cimelia” “elegy for Starlight”, “A Delight of Pigs overcomes Household Stigma”. 2011, numero cinq magazine, volume two, no 6 Three Poems from The Pillow Books: February; Raise High The Red Lantern; The Other Wife; The Red Lantern Raised. 2010 “Solomon’s Judgement” in Motrista (51-52) 2010 [Mostar, Herzegovina]: pp37. 2008 “Firkin’s Tale.” Descant 143 (Winter 2008): pp10-11. 2007 “Horse and Seal.” www.greenhorsesociety.com/People/Karen-Mulhallen.html, 2006. 2006 Four poems from Sea Horses: “Funeral,” “Archivists of Mourning,” “Mass,” and “Passed Noon.” The White Wall Review (Fall 2006): pp67-72. 2005 “The Grace of Private Passage/ La grazia del transito: passaggi private.” 22pp in English and Italian posted on Siena-Toronto Centre web-site, November 2005. 2004 “Cuba” [ from The Caverns of Ely, Part V]. In Habaneras. Ed. Bruce Barber and Virgil Burnett Stratford, ON: Pasdeloup Press, 2004: pp17-19. 2002 “Gaia’s Currents,” “The Changing Light At Gibraltar Point,” “Winds.” White Wall Review 26 (2002): pp26-30. 2001 “Your Large Nose Etc.” Broadside, League of Canadian Poets in Celebration of National Poetry Month (April 2001). 2000 “Hawthornden Fire,” “An Edinburgh/Saturday Night,” “Summer Rain.” The Nashwaak Review, Number Eight (Summer 2000): pp150-153. 2000 “Light/Shadow, Dog and Fox”, Literary Review of Canada, vol.8.no.2 (March 2000) p21. 2000 “The Great Barrier Reef.”The Fiddlehead 202 (Winter 1999): p78. 1999 “Cherries in Snow,” “Only Daughters.” The Antigonish Review 118 (Summer 1999): pp85-88. 1999 “Your Large Nose Etc. ” In I Want to be the Poet of Your Kneecaps. Ed. John B. Lee. Windsor: Black Moss Press, 1999: p.46. 1999 “To My Soul’s Desire.” Salmagundi (Winter-Spring 1999): p169-170. 1998 “In Toronto With You,” “Romantic Love: From Bewildered to Zigzag.” Descant 100, Romantic Love (Spring 1998): pp186-187. 1998 “Summer Rain,” “Hawthornden Processional,” The Malahat Review (Winter 1998): pp93-99. 1997 “The Flowering Crabapple Tree of Bosnia-Herzegovina.” In Mostovi/II, 28 (Belgrade) (1997): pp264-267. 1996 “Seven Poems from War Surgery:” “On The Doctor’s Petermeter,” “A Farewell To Arms,” “A Chair/In My Study,” “After Somalia/The Purpose of Curtains,” “The Bowl of Night,” “Orfeo Ascending,” “Mogadishu.” Nineties Poetry, Number Seven (Winter 1995-1996): pp48-54. 1995 “After His Death.” Nineties Poetry. Ed. Graham Ackroyd, Number Six (Autumn 1995): pp63-64. 1995 “The Mouse In The Christmas Pageant.” In That Sign of Perfection, From Bandy legs to Beer legs, Poems and Stories on the Game of Hockey. Ed. John B. Lee. Windsor, Ontario: Black Moss Press, 1995: pp36-39. 1993 “If these so long with loss acquainted eyes.” In Seven Poets. Stratford: Pasdeloup Press, 1993: ***unpaginated__broadsheets in a folder in the french fashion. 1985 “On Beginning Flaubert’s Parrot, For Michael Granatstein.” Lucky Jim’s, Issue number 4 (1985): p3. 1984 “Toward Punta Banda.” In Views from the North. Ed. Karen Mulhallen. Erin, Ontario: The Porcupine’s Quill: pp198-201. 1984 “Toward Punta Banda.”, Descant 44-45, Travel (Summer 1984): pp198-201. 1983 “On The Twelfth of November.” White Wall Review, volume 2, number 4, whole #8: pp20-21. 1981 “Six Poems from Sheba and Solomon with a note on composition:” “Tonight, a cape of rain,” “Solomon’s Judgement,” “The Queen of Sheba Speaks,” “Solomon Replies,” “After His Death,” “The Queen’s Final Response.” Poetry Toronto Newsletter, number 62 (February 1981): pp8-14. 1975 “Cesca,” “Diairmaid,” “Green Ideas,” “The Television-Handed Goddess.” Descant pp11-12 (Spring-Summer 1975): 125-127. 1973 “Five Poems from Fishing Poems.” The Blewointment Press Tantrik Speshul (December 1973): p73. 1973 “Sequence: The Siegfried Poems.” Quarry, volume 22, number 3 (Summer 1973): pp51-57. 1972 “With the bright rose of dawning,” “Syrinx,” “Horizon.” Descant 4 (Spring 1972): pp10-11. 1971 “That first winter, “Patrick McDonald,” “Do you know,” “November.” Descant 3 (Fall 1971): pp31-35. 1963 “Words.” Chiaroscuro (Waterloo University College): pp15. Edited Descant special issues, subjects include Dennis Lee; Michael Ondaatje; Travel; The Ambiguities; Detection; Comedy; India; Memory Work/Dreams; Male Desire (2 vols. ); Film; Australia-New Zealand; Meta-Physics; Blood Relations; China; Food; R. Murray Schafer’s Patria Cycle; Space (2 vols. ); Dis-Ease (2 vols. ); Romance and Reality; Texts for a Winter Solstice; Poetry, Painting, Music; The Book (2 vols. ); Reading Pictures, Anatomy, Turkey et.al. The AnaChronist . School of English and American Studies. Eotvos Lorand University Budapest. Appointed to the Editorial Board for 2002. The Canadian Forum , Poetry Review Editor 1974-79; Arts Features Editor 1975-1988. Edited special Issues on Canadian Architecture, Canadian Film and columns on the Visual Arts, Theatre, and Music. The Literary Review (Edinburgh and London). Columnist, Canadian Diary, 1980. Ontario Arts Council, Works in Progress Jury, March 1993. Ontario Arts Council, Arts Writers Jury, July, 1990. National Magazine Awards, Travel Writing Jury, 1989. Ontario Arts Council, Visual Arts Criticism Jury, 1988. Ontario Arts Council, Works in Progress Competition, 1988. Tamwood Writers Retreat, Writers’ Development Trust, 1981 and 1982. 1976 to present, including Cocolerio Umbrella; Descant Arts and Letters Foundation; The Survival Foundation; Womenspeak; University of Toronto Summer Writers’ School; Advisory Board, Somerville House Books. “In Other Words.” CKLN 88.1 fm. December 29, 2009. “The Great Canadian Novel Quiz.” This Morning. CBC Radio. October 22, 1997. “Who’s New.” State of the Arts. CBC Radio. May 29, 1988. “Marshall McLuhan’s Legacy.” CJRT Radio, January 1981. “Prison poetry – Pancho Aguila.” Rogers Cable TV, 1974. Simcoe Leacock Canadian Authors’ Association, June 27, 2013 , Down by The Bay, Orillia, Talk about editing and writing. “Independent Publishing” Humber Writers School, 2012. Magazine Publishing.” Humber Writers’ School, 2003. Live Poets Society, Ryerson University, Toronto, November 2002-March 2005. Founded the Society, Organized and Hosted 23 poets from 2002-2005: John Wing Jr., bill bissett, Margaret Christakos, Trish Salah, Christian Bok, Dennis Lee, Phlip Arima, Priscilla Uppal, Di Brandt, Christopher Dewdney, Robert Priest, Karen Solie, Glen Sorestad, Natalie Caple, Michael St George, Betsy Struthers, Michael Holmes, Rosemary Sullivan, Keith Garebian, Marty Gervais, J.D. Crosato, Sonnet l’Abbé, Carolyn Smart. Presentation at the University of Toronto-University of Siena Centre in Siena, July 8, 2004. Onstage Interview with Jorie Graham, International Authors’ Festival (IFOA), Harbourfront, Toronto, 2 November 2002. Onstage Interview with Chitra Bannerjee Divakaruni, International Authors Festival, Harbourfront, Toronto, October 2001. Chair, Art and Architecture Session of Canadian Society for Eighteenth Century Studies, University of Toronto, October 2000. Onstage Interview with C.K. Stead, International Authors Festival, Harbourfront, Toronto, October 2000. “Identity in a Foreign Place.” Moderator, Goethe Institute/Art Gallery of Ontario, October 1993. “Creativity.” University of Waterloo, Fine Arts Department, November 1991. Ontario Arts Council, Literature and Publishing Advisory Panels, 1985, 1987, and 1996. “Women Writers and Publishers, with Betsy Worland Van Horne and Janis Rapaport,” Hart House (Toronto), 1974. 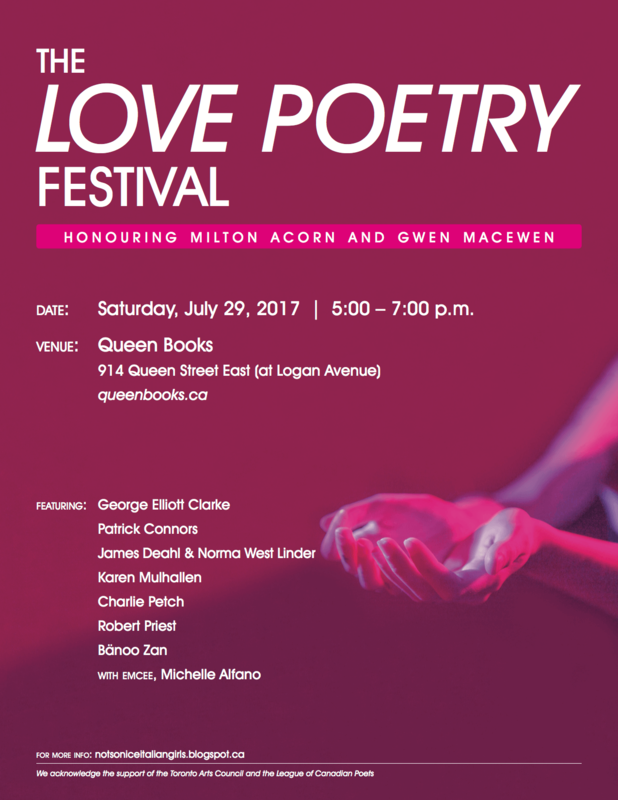 2017, Love Poetry Festival, Queen Books, Toronto (July 29). 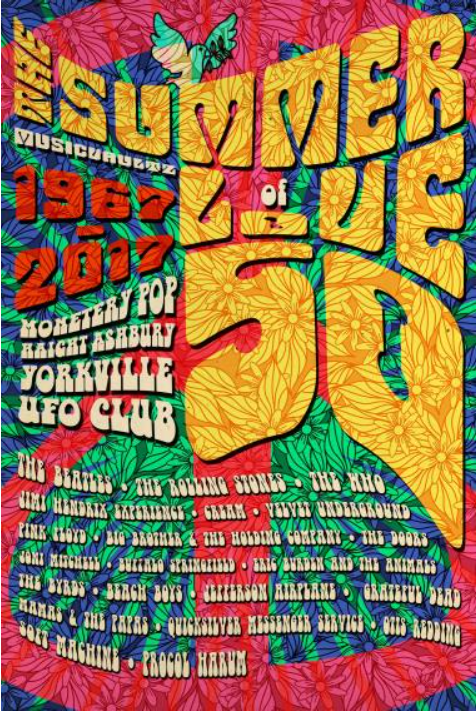 2017, Summer of Love, Cadillac Lounge, Toronto (July 23). 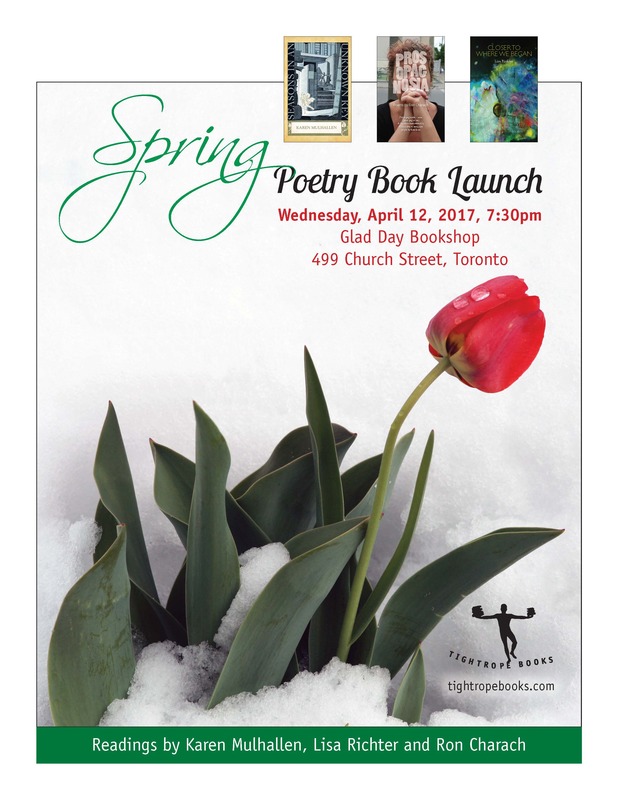 2017, Glad Day Bookshop, Toronto, reading from “Seasons in an Unknown Key” (April 12). 2017, Free Times Cafe, Art Bar Poetry Series, reading from “Seasons in an Unknown Key” and other poems (January 31). 2016, Draft Collective Reading, Toronto, The Flying Pony, reading two poems, “Pompeii” and “Summer” from “Seasons in an Unknown Key” and a new work: “The Pigs in Question” (October 23). 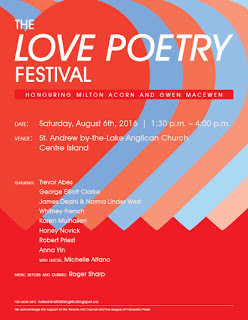 2016, Love Poetry Festival in celebration of Gwen MacEwen and Milton Acorn, Three poems from “Seasons in an Unknown Key”, Toronto Island (August). 2015, Black Moss poetry event. 2015, Black Moss Poetry Celebration, Wind-up Bird Café, Toronto (January 20). 2015, Shakespeare & Company, Paris, France. Bilingual reading from Code Orange with Author Nancy Huston and musician Dennis Hirson (September 28). 2015, Cafe Pamenar, Toronto, Launch of Code Orange Emblazoned Suite. Readings by Karen Mulhallen with kanun music by George Sawa (September 14). 2015, Draft 10.4. The Paint Box Bistro” revolutionary Meeting at the Royal Ontario Museum” and Rencontre revolutionnaire au Musee royal d’Ontario, from the Code Orange Suite (Febraury 22). 2014, Wind-up Bird Café, Toronto, launch of Fishing Poems, bagpipes and drum accompaniment by Rory Gus Sinclair, (November 3). 2014, International Congress of Language and Literature, Linares Nuevo Leon, Mexico. Readings (and a talk) from Sea Horses and Sea Light (October 20-24). 2011 Book Fest, Girls’ Night Out, Art Gallery of Windsor, reading and panel interview (November 3). 2011 Draft Reading Series, The Only Cafe, Toronto (November 20). 2011 Essex District High School, Readings from Work in Progress, “Spitz of the Cimelia” (November 4). 2011 Walkerville High School, Readings from The Pillow Books (November 4). 2011 Windsor, Ontario, Book Fest, Art Gallery of Windsor, reading and a Panel Interview (November 3). 2011 The (Not So Nice) Italian Girls and Their Friends, Toronto, The Annex Live (October 16). 2010 Five Readings and Onstage Interviews, Sarajevo, Bosnia and Herzegovina, International Sarajevo Poetry Festival (May 9-16). 2010 Reading, The Artful Dodger, Toronto for National Poetry Month (April 8). 2009 Readings and a Talk, University of Toronto, Canadian Poetry Class, Toronto (November 18). 2009 Reading Essex District High School, Windsor (November 6). 2009 Reading Art Gallery of Windsor, Black Moss Press 40th Anniversary, Windsor (November 5). 2009 Reading Walkerville High School (November 5). 2009 Reading Catholic Central High School, Windsor (November 5). 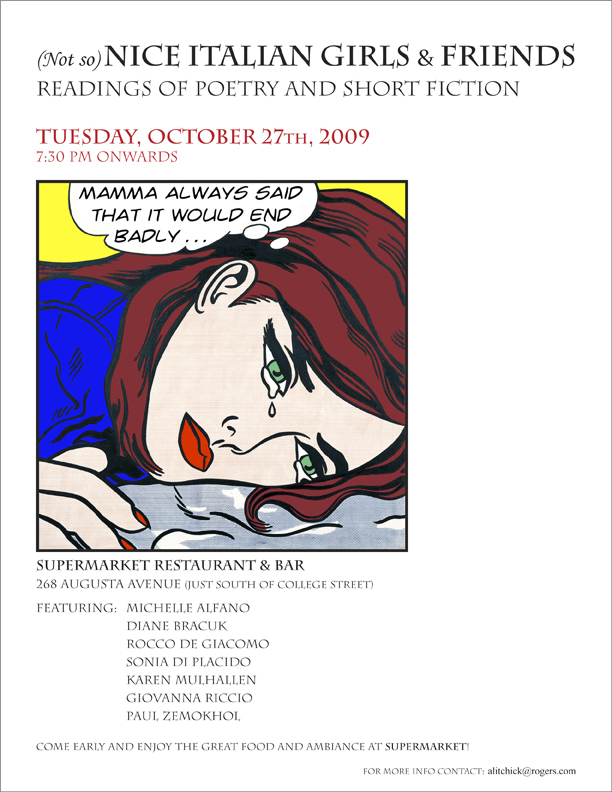 2009 Readings from Acquainted with Absence, (Not So Nice) Italian Girls and Their Friends, Supermarket, Toronto (October 27). 2009 Reading and book launch for Acquainted with Absence, Noce Restaurant, Toronto (October 14). 2008 Readings and a Talk about Sea Horses, 7th Canadian May In Venice, Diversity in Canadian Culture, Università Ca’ Foscari, Venezia (May 29). 2007 Readings from Sea Horses, Cervejaria Downtown Bar-Grill, Toronto (November 15). 2007 The Art Bar Poetry Series, Toronto (November 13). 2007 Readings from Sea Horses, Elias Deli, Windsor (October 26). 2007 The Box, Back of The Rivoli, Queen Street West, Toronto (February 28). 2006 Once In a Reading Series, Blue Moon Cafe, Toronto (December 7). 2006 University College, University of Toronto, Spring Alumni Event. Toronto (June 1). 2006 Re-Generations, the Tour, Waterloo, Ontario (April 20). 2006 Re-Generations, the Tour, Simone De Beauvoir Institute , Montreal, Quebec, (April 21). 2006 Re-Generations, the Tour, London, Ontario (April 18). 2006 Re-Generations, the Tour, Women’s Book Store, Toronto (February 9). 2005 University of Siena, Siena, Italy (May 16). 2005 Trieste, Italy, University of Trieste (May 10). 2004 Live Poets Society, Open Mic, Toronto (March 15). 2004 Centro Siena-Toronto, Siena, Italy (July 8). 2004 Live Poets Society, Open Mic, Toronto (March 23). 2003 Sasquatch Writers’ Performance Series, Ottawa (November 9). 2003 Art Bar Series, Toronto (October 15). 2003 Livlit Reading Series, Hamilton (October 5). 2003 University of Windsor, Black Moss Press Celebration, Windsor (October 3). 2003 Walkerville High School (October 3). 2003 Essex District High School (October 3). 2002 Sheena’s Place, Centre for Eating Disorders, Toronto (November 13). 2002 Poetry College, Toronto (April 28). 2002 University of Waterloo, Rare Book Library, Poets and Papers: Readings and Records from the Archives of the Pasdeloup Press (March 1). 2001 University of Windsor, Wider Boundaries of Daring, Festival and Conference (October 25 – 28). 2000 The Free Times Cafe, 20th Anniversary Reading, Toronto (November 28). 2000 Treats II, Readings by English Department Alumni/ae et al., U of T Day (October 14). 2000 The Free Times Cafe, Poetic License (May 30). 2000 University of Windsor, Windsor, Ontario (March 1). 2000 The Free Times Cafe, Toronto (January 25). 1999 The Imperial Pub Library, Toronto, Black Moss Press Anthology Celebration (October 17). 1999 Freedom to Read Week, Art Bar Series, The Imperial Pub Library, Toronto (February 17). 1998 Art Bar Series, The Imperial Pub Library, Toronto (November 11). 1998 Cafe Za Che Zu, Toronto (June 12). 1998 Starbucks (Front St. East), Toronto (April 15). 1998 Piano and Wines at the Arden, Stratford, Ontario (February)14. 1997 Canadian Writers at The Toronto Hospital, Toronto (August 7). 1997 Books By the Grand at Daffodils, Paris, Ontario (May 23). 1997 The Idler Pub Reading Series, Toronto (February 9). 1996 The Rivoli, Toronto (October 15). 1996 Word on the Street, Authors’ Tent, Toronto (September 29). 1996 National Library of Canada, Ottawa, League of Canadian Poets (May 25). 1995 Eden Mills Writers’ Festival Eden Mills, Ontario (September 10). 1994 Arts Journalism Readings, The Banff Centre, Banff, Alberta (June 30). 1994 The Rivoli, Crypt Editions Launch Toronto (April 25). 1993 Harbourfront, York Quay, Toronto Harbourfront Authors’ Series (December 7). 1993 The Midtown, Toronto (November 3). 1993 University of Waterloo, Waterloo School of Architecture (January 21). 1990 Writers & Co., Toronto (May 3). 1987 University of Waterloo, Waterloo, Fine Arts Department (November 23).